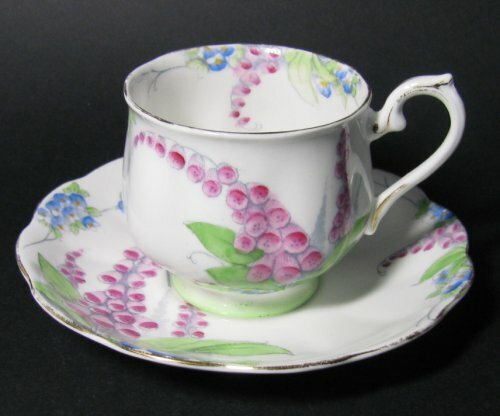 Vintage Royal Albert Canterbury Bells Teacup - Delightful! 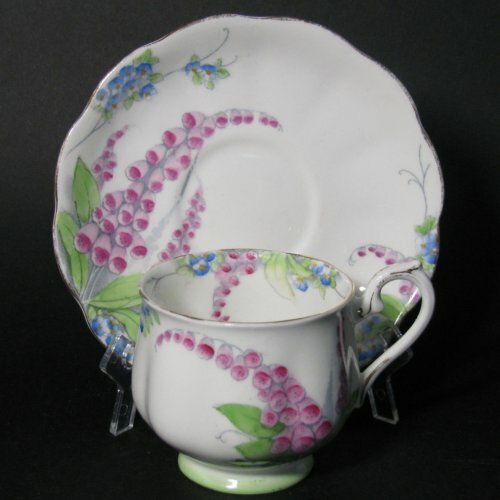 ROYAL ALBERT floral design teacup and saucer resembling canterbury bells. An early style tea cup, gilt trimmed. Hand painted and airbrushed painted. Footed tea cup with handle and thumb rest trimmed in gilt. 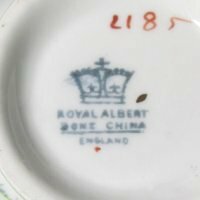 The tea cup and saucer are gold trimmed, and the saucer has heavily scalloped edges. The backstamp resembles 1931-35 era stamps.